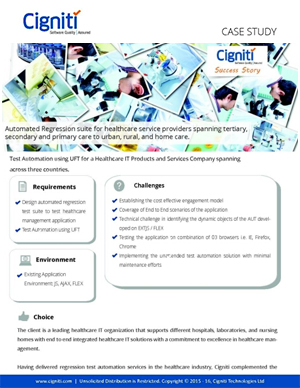 Automated Regression suite for healthcare service providers spanning tertiary, secondary and primary care to urban, rural, and home care. 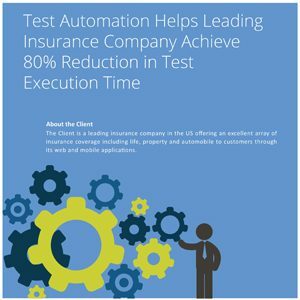 Test Automation using UFT for a Healthcare IT Products and Services Company spanning across three countries. 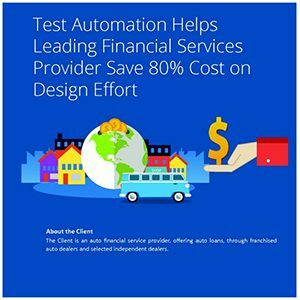 Functional Testing, Test Automation and TCoE implementation for an IT system thatconnects over 350,000 electric and over 300,000 natural gas customers . 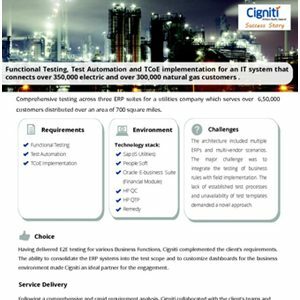 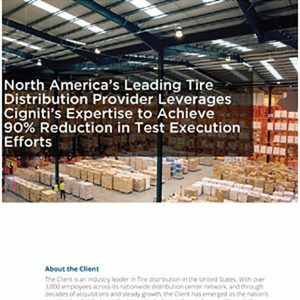 Comprehensive testing across three ERP suites for a utilities company which serves over 6,50,000 customers distributed over an area of 700 square miles.